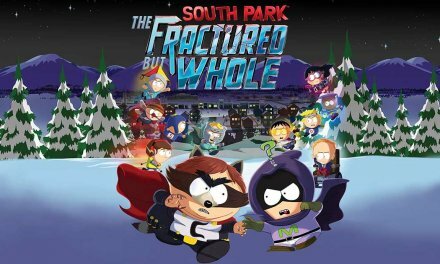 I wanted to love this game, I wanted to love it so bad!….. AND I DID! Humans are a funny bunch, aren’t they? We constantly crave for newer better things in everything we are passionate about and to be fair we always get it, then we find ourselves begging for the good ol’ days, yet when that happens we’re all like ‘Waaaaaaaah it’s not the same man don’t fix what isn’t broken!’, it’s a vicious cycle that no one can really explain but every now and then something comes along that brings joy to my hollow, black, nostalgia loving heart, and that my friends is Square Enix’s and Tokyo RPG Factory’s latest offering – Lost Sphear. A spiritual successor to 2016’s I Am Setsuna, the development team behind it have set out to improve on an already awesome title by providing more strategic and customisable battles and a bigger assortment of bright and beautiful locations. 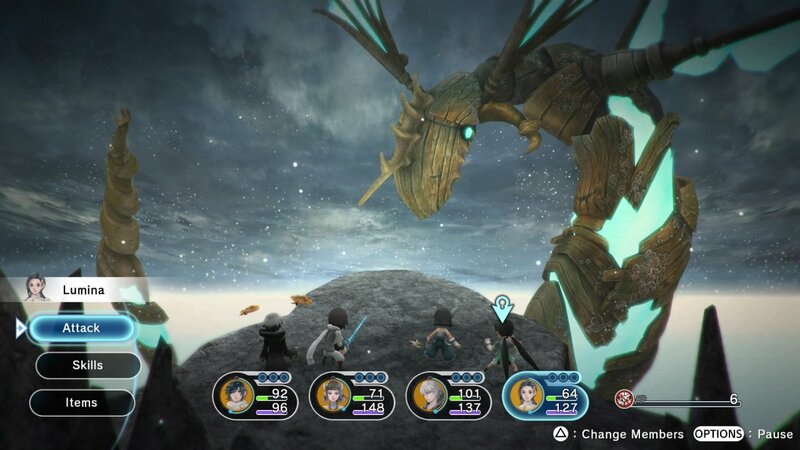 Lost Sphear also has a heavy emphasis on the great JRPG’s of the 90’s that we all know and love like Final Fantasy 6 and Chrono Trigger for a classic experience on modern consoles that will stick with you for years to come, which is where it gets its charm and heart from but at the same, this is a title with identity issues. 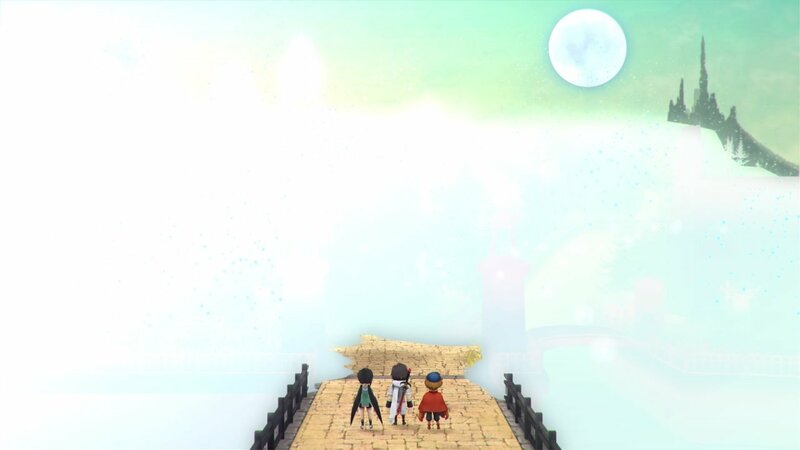 Lost Sphear introduces you to a young man named Kanata, who along with his childhood friends, Lumina, Locke and an enigmatic character called Van go on an epic journey after parts of their world (along with their hometown) disappear and become shrouded in a white mist, Kanata quickly discovers he can restore these lost sections through the power of memories, which is a recurring theme and used for several purposes throughout this game. After coming to terms with his new-found abilities, Kanata and his friends set out to restore the world and discover why this is happening in the first place. Lost Sphear’s story is one that is extremely easy to become invested in and doesn’t become too convoluted as you make progress. 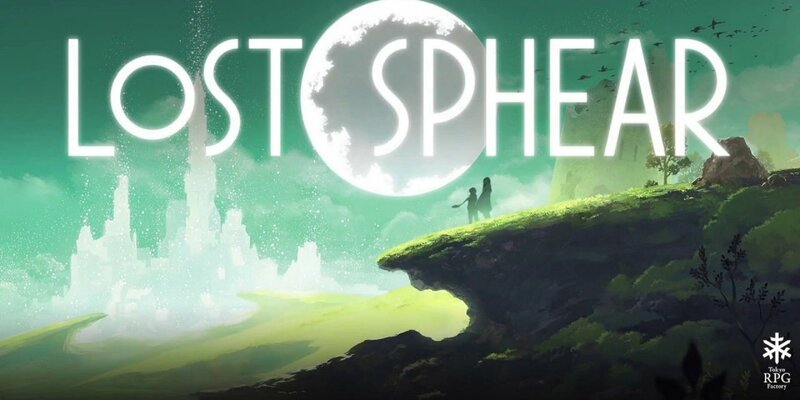 This is due to the fantastic locations and its brilliant cast of characters featuring a diverse yet all too familiar group which in most part is where Lost Sphear’s identity crisis resides. We’re all used to J-RPG’s having its own clichés and leitmotifs but they all seem to get packaged in this one game. There’s the plucky young protagonist burdened with an ability he doesn’t quite understand, the female childhood friend that punches things, the comic relief character that’s always bloody hungry, the secretive goth like character, an airship engineer (not named Cid) and a girl that fights for the honour of her tribe. Toss in the plot device of leaving your hometown on a small errand only to return to find something terrible has happened to it, and you have J-RPG by numbers. However, to me this isn’t the con that some have made it out to be, as someone that has been devoted to this genre for almost 20 years, I find this to be a homage to the JRPG titles that have been so close to my heart all this time. 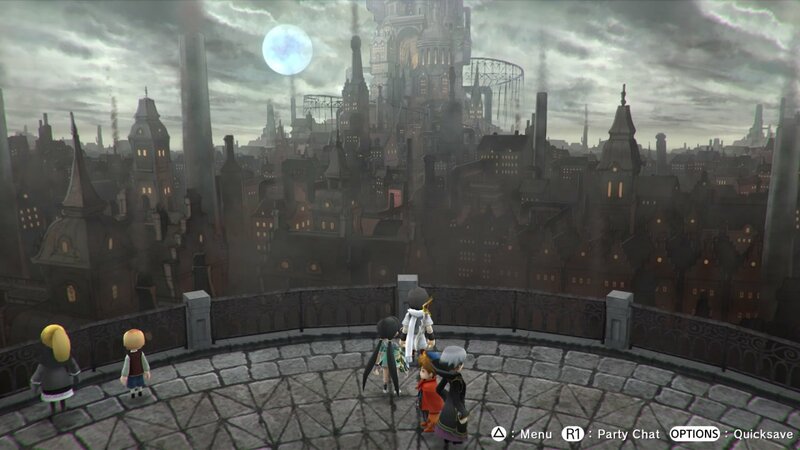 Artistically, Lost Sphear is bold, pastoral and though it features some places that attributes some dark palettes and foggy stone backdrops, they’re still awesome to explore and feel huge even with it’s throwback outlook. The magnitude of this title is well and truly intensified by it’s world map (it actually has a world map!). In hindsight you won’t take too long trekking from one place to the next, but you will spend some time searching the land for items, memories and creating artefacts, somehow the dev team have created it to make it feel like you have walked for miles, their is also a lot of dungeons to explore with maze like layouts and spoils a plenty to keep you busy. The character models on display takes me back to the Final Fantasy 3&4 remakes on the Nintendo DS which helps add a certain magic to the characters you meet and control but there were times where I experienced slightly clipping through objects which takes away the sturdiness of the model. Also, the developers have made the effort to name almost every NPC you meet in the game, making you feel like every single person you come across matters, a nice little touch if you ask me. And to keep to the whole classic RPG homage there is very little voice acting, with a vast majority of the dialogue being presented in the old school textbox form, which I have claimed in previous articles can be fantastic as voices and emotional are portrayed completely through your imagination, the only time you will here any voices is in battles and it is in Japanese to really drive home the authenticity, but where one of Lost Sphear’s crowning glories comes from is its fantastic soundtrack. Continuing with I Am Setsuna’s piano driven style with some gorgeous string arrangements thrown into the mix, the musical scores in Lost Sphear goes with the sceneries, the battles and the story perfectly and acts as a great exclamation point to an already handsome game. Lost Sphear takes us back to the turn-based combat that RPG experts know and love but with a couple of added twists. First of all, when you’ve decided on an action for your character you then have the freedom to move him or her around the field with a red area that comes in different shapes and sizes to indicate where the attack will land which gives combat a further tactical edge to it, particularly with characters that have projectile weapons as you have the potential to do damage to multiple enemies at once. As you battle you can also build up a gauge for momentum attacks, executed at the right time you have the chance to do extra damage and its so satisfying when you do. Along with the huge variety of weaponry which can be buffed and improved and the devastating magic spells which require memories (which you gain from defeating enemies, talking to people, reading various books and etchings or simply finding them) for you to craft, you will also gain access to the Vulcosuits, suits of armour that not only have their own exclusive skills and capabilities when they are worn but also make you stronger, however these have points decrease as you use them, so you have to pick your moments, overall I think the battle system is great, it’s traditional, fast paced, hard hitting and it makes you think before you act. 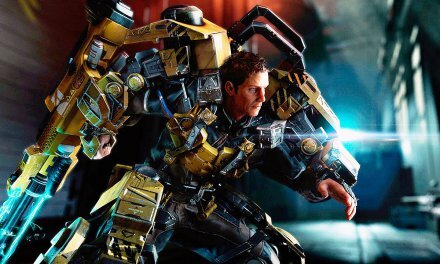 Another big pro (for this writer at least) is that enemies appear in game and you engage when you come into contact with them, with advantage being determined by how you approach them, this keeps the adventure feeling fluid and consistent. Lost Sphear doesn’t just leave building your stats in skirmishes or in weapon and magic shops in town, you can also do it on the world map by using memories to build artifacts on the parts of the world that you restore that offer a huge selection of buffs, giving blazing your way through the many different creatures and challenging boss battles different flavours and stop things feeling too repetitive as you progress and also, it also helps you through the games steady difficult curve that you must prepare yourself for, the RPG trope of side quests appears to be relatively absent but besides this Lost Sphear is such an enjoyable yet stimulating adventure. Summary Lost Sphear is an absolute ode to a genre that has so many incredible games linked to it. Yes, the identity issues of this title may hinder this title from standing on its own two feet at times, but I truly feel that this, along with I Am Setsuna, could be the start of the next great JRPG series, but all the traditional elements just go to show where the developers passion derives from. Lost Sphear combines a compelling story, smooth and exhilarating gameplay, striking visuals in a world that is satiating to piece back together and loveable characters. 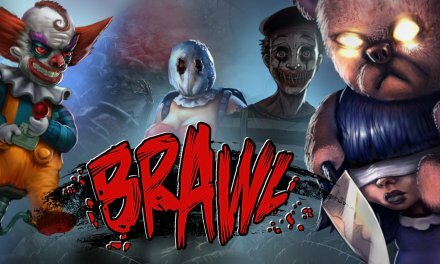 If you were a fan of I am Setsuna, or just simply a lover of this prestigious genre I highly suggest you check this out.